The attorneys at Oberheiden, P.C. are a team of former federal health care prosecutors and veteran health care fraud defense attorneys. Our attorneys include the former chief for health care fraud at the U.S. Attorney’s Office, former Assistant United States Attorneys (AUSA), former Special Assistant United States Attorneys (SAUSA), former Department of Justice Trial Attorneys, the former Deputy Chief of the Trial Section at the U.S. Attorney’s Office, and distinguished criminal defense lawyers. We help clients across the country who are under investigation by federal investigators. Call one of our senior attorneys today for a free and confidential consultation. What Is a Civil Investigative Demand (CID)? A Civil Investigative Demand (CID) is a mechanism state and federal investigators use to collect information and evidence for use within the context of a civil investigation. The government may use the CID to request information or documents, or both, and federal prosecutors may issue CIDs prior to, or in lieu of, bringing formal judicial proceedings. Under the (federal) False Claims Act (31 U.S.C. § 3729 et seq. ), individuals and entities are held accountable for submitting false or fraudulent claims for payment to the United States government. For example, a medical service provider billing Medicare for unnecessary treatments to a patient or a laboratory billing Medicare for tests that were never performed would qualify as violations of the False Claims Act. Importantly, the Affordable Care Act (“Obamacare”) expressly clarifies that any claim for payment submitted in violation of the Anti-Kickback Statute also constitutes a false claim under the False Claims Act. 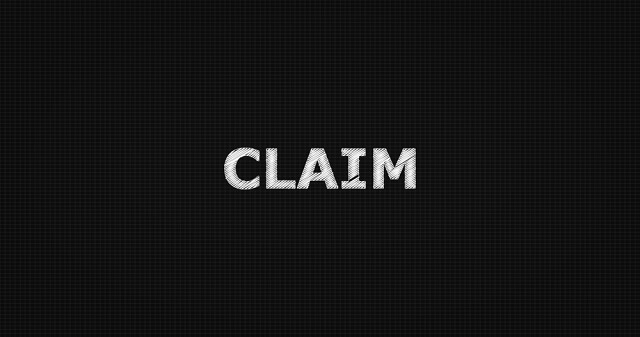 What Are the Penalties Under the False Claims Act? The penalties for violating the False Claims Act include: 1) fines ranging from up to $ 10,957 to up to $ 21,916 per false claim; 2) monetary judgments of up to three times the government’s damages as a result of the false claim(s); and 3) temporary or permanent exclusion from participation in federal health care programs. A criminal false claims act statute (18 U.S.C. § 287) also authorizes criminal penalties such a criminal fines, prison sentences, and probation. Even though CIDs are civil in nature, if they are not responded to in a prompt, accurate, and thorough manner, they may perk investigators’ suspicions and even lead to criminal charges. Therefore, it is critical that anyone who receives a CID call an experienced health care fraud defense attorney. An experienced health care fraud defense attorney will handle all communications with federal investigators and prosecutors, review document productions for responsiveness, and organize your production in the manner expected by the government. At Oberheiden and McMurrey, our top priority in every representation is avoiding criminal charges against our clients. One way we accomplish this is by convincingly demonstrating to the government that they cannot prove all elements of the alleged health care fraud against our client. Oftentimes, the missing element is our client’s intent to commit health care fraud. Contrary to the allegations we regularly see contained in criminal indictments and civil complaints, we understand that people rarely sit around and conspire about how to defraud the government. In reality, people often back into violations of health care statutes entirely by mistake caused by neglect, disorganization, lack of supervision, or manipulation by others. Wherever possible, we strive to present our client’s side of the story to government prosecutors as early as possible in an investigation in order to prevent them from developing unfounded beliefs and assumptions. As former federal prosecutors ourselves, we wholeheartedly appreciate that the burden of proof is on the government to prove every element of a crime and that no prosecutor wants to risk bringing a weak case to trial. Anyone who receives a CID should assume that the federal government is investigating him/her. Generally speaking, the government only issues CIDs to individuals or business who are either under investigation or who have valuable information about another individual or entity that is under investigation. However, federal agents often mislead the targets of their investigations into believing that the investigation is about someone else, when it is really about them. Therefore, anyone who is contacted by federal agents should assume he/she is personally under investigation. Furthermore, individuals unfamiliar with federal investigations are prone to responding to CIDs too casually and without proper preparation. Such an attitude may cause someone who was originally a mere witness to become an actual target of the investigation. For these reasons, the smartest thing anyone who receives a CID can do is to immediately call a federal health care fraud defense attorney with experience handling government investigations. An experienced criminal defense attorney will understand the context of the CID request and adeptly prepare a response that neither incriminates nor perjures the client. Ultimately, you want to be truthful and cooperative while at the same time protecting yourself from self-incriminating answers or admissions. If you have received a CID request, contact Oberheiden, P.C.. The minute you receive a CID request, you become obligated to take all reasonable steps to prevent the destruction of any responsive documents, including electronic documents such as emails and even text messages. Failure to exercise due care in this regard may expose you to charges of obstruction of justice. Therefore, once you receive a CID request, it is smart to disable any auto-delete functions in your email, voicemail, and document retention systems. Additionally, if applicable, you should instruct your staff against destroying any hardcopy files or throwing away any equipment, such as smartphones, laptops, or servers. CIDs are typically very wide in scope, often addressing a plethora of topics and potentially implicating thousands of pages of responsive documents. The best way to ensure that you are able to produce a comprehensive response within the given deadline is to evaluate the CID with your attorney as soon as possible after you receive it. That way you can construct a game plan for gathering the responsive documents, including creation of a timeline of tasks and allocation of the proper resources to the project. While you may be able to negotiate an extension of time to respond to the CID with the prosecutor if it will not be feasible for you to adequately respond within the deadline provided in the CID, your likelihood of success will be much higher if you reach out to them promptly and if you have identified specific reasons why you need more time. As you might gather from Steps 1-3, preparing a CID response is a time consuming and resource intensive task. Therefore, early preparation and organization are key to putting together a thorough and timely response. The sooner you work with your attorney to develop a game plan and schedule for your response, the more likely you will be to meet this goal. Your schedule should take into consideration time for your attorney to review and organize all of the documents that you gather for the response. Your timeline should also account for any documentation that must be obtained from third party agents, such as your bank or telephone service provider. In addition, if you need to delegate any tasks to employees, such as your IT staff, you need to plan for the time it will take them to properly perform their responsibilities. Oberheiden, P.C.’s team of former federal health care prosecutors and veteran health care fraud defense attorneys are available seven days a week to speak with you about your case. All of our consultations are handled by senior attorneys and are free and confidential. Our attorneys include the former chief for health care fraud at the U.S. Attorney’s Office, former Assistant United States Attorneys (AUSA), former Special Assistant United States Attorneys (SAUSA), former Department of Justice Trial Attorneys, the former Deputy Chief of the Trial Section at the U.S. Attorney’s Office, and distinguished criminal defense lawyers. Call Oberheiden, P.C. today for a free and confidential consultation. Our attorneys are available to take your call seven days a week – including weekends. We can answer your most pressing questions or discuss how we may be able to help you with your case. Contact us now.